I was lucky enough to attend the ghd event launch of the new candy styler collection in London last week. Whilst enjoying a candy themed buffet and playing with the cute new stylers, we were also given a fantastic demonstration of the seasons key hair styles. I thought I would review these in a little more detail for you here, but the original post about the event can be found here if you’d like a look. We were shown three perfected looks. The ladylike-chic ’60’s Prom Queen’ style with a lot of backcombing to perfect the vintage volume. ‘New Grunge glamour’, a take on laid back and natural style, but with attitude and even more texture, and ‘Hello Pretty,’ the style that most girls who love to achieve every morning but wish they had four hands. Loose braiding creates a romantic, feminine and pretty appearance without looking too over done. The three styles are something that I would love to incorporate into my weekly hair routine so I was really excited to see how they could be created. The new grunge glamour style was created using the yellow candy styler, using a method of twisting the hair in alternative directions whilst pushing the styler down from above. This pushing down action elongates the curl so that you do not lose a lot of length from your styled hair. The styler is placed ‘bottoms up’ over the hair, twisted 180 in one direction whilst keeping the styler upright and pushing it downwards through the hair. The styler is then turned the opposite way 180 degrees and the styler once again pushed down. This action is repeated, leaving the hair with a soft elongated wave that twists from left to right. It is a laid back and more natural take on the usual loose wave that many have sported for the last few seasons, I know I have, but this is just a bit more perfected. This is definitely my new style for the season. After all of this texture had been added to the hair, the hair was then perfect for braiding. The braid was started from one side of the head, working horizontally around the back of the head whilst always keeping the braid loose, pulling the hair to loosen as you braid. When you get round to the other side, you use the ends of the hair and braid straight forwards, securing with a see through hair band at the end. This end can then be pushed under the front of the hair to conceal it and pinned into place so that the braid wraps from the right to the left parting. I have tried this style before and just about managed on my own, but I think I may need help to truly perfect it in the future. But it looks so pretty and feminine when it is finished; perfect for spring skirts and floral blouses. 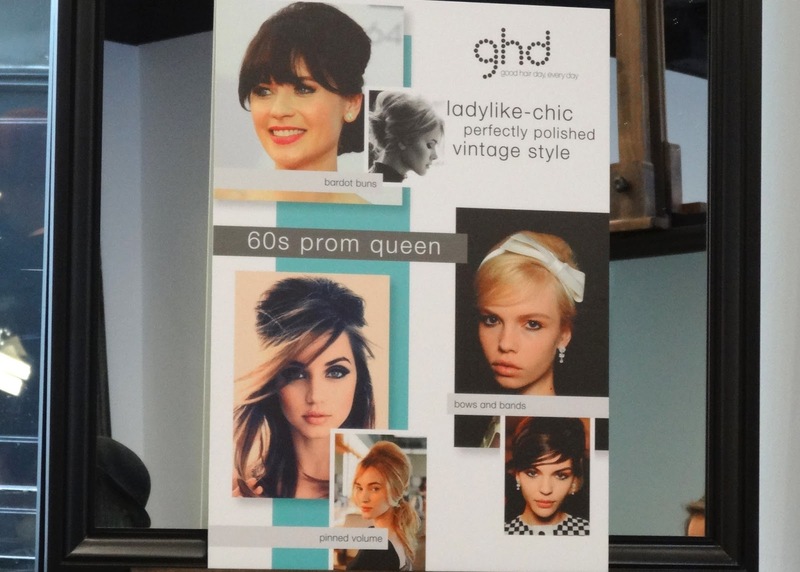 The final style was ’60s prom queen’ and a modern take on the pristine and perfected volumed backcomb of the 60’s. Here, a diamond shape was made in the hairline to separate it and the remaining hair clipped away. This diamond of hair was then separated across the head so that each section could be backcombed. The backcombing needs to be more than you would usually apply to your hair, really condensing the hair into the roots to provide ultra lift. After all of the hair in the diamond is backcombed, it is pulled back into a low ponytail. On shorter hair, the pony tail does not have the same effect as long locks, so it is lovely to twist it up into a little bardot bun with some hair grips. Pulling away and using any loose hairs to create a feminine and more ‘undone’ look, this style is really classy yet still modern. 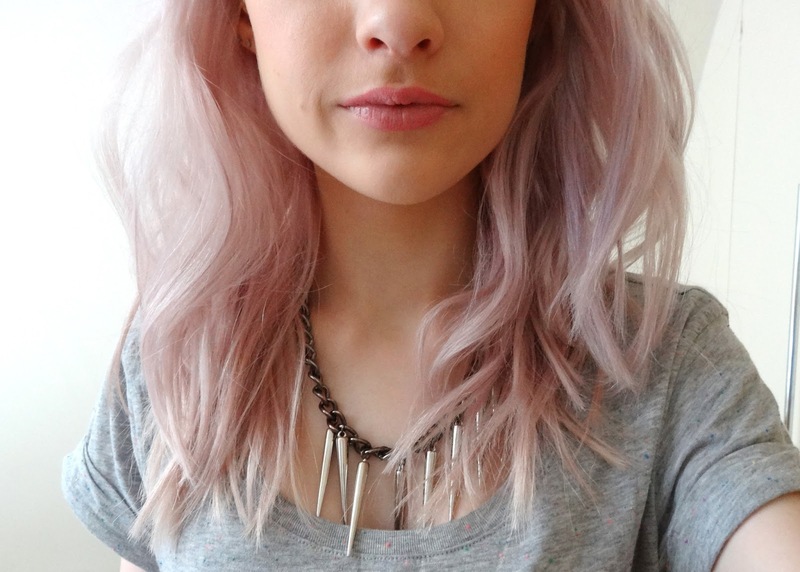 Again this is something I think I will try for something different to my usual top knot bun. I was really inspired by the demonstration and set to work waving my own hair, after battling with the technique for ten minutes I might add. If you check out the very top picture of me, this was the result of my trying a day after I had done it, so the staying power was really amazing. All of the looks will be lovely for spring though and perfect to change your look from day to day. I really hope you might have been inspired! What do you think of the new seasons looks? Anything you think you might try?